This paper is intended both for people who are considering an affiliation with The Threshold Society, as well as for those who are already committed to this path. To be a Mevlevi dervish is to enter into a web of relationships designed to maximize spiritual possibilities through creating an atmosphere of solidarity, loyalty, service, trust, and affection. It involves taking hand with a shaikh and committing oneself to the program of training and service offered by the Mevlevi spiritual community. Some of the details of this relationship and its adab are described both online (1) and in The Knowing Heart (2). If people aren’t clear about the principles of these relationships, it weakens the bonds with the shaikh and with the community as a whole. Traditionally there have been two categories of people participating in tariqah activities: Muhibs (associates, or friends of the order) and Dervishes (those engaged in the initiatic journey under the guidance of the Tradition). The intention of being a dervish is different from the intention of being a muhib. The latter, for any number of reasons, chooses to associate with the tariqah on a somewhat limited basis, but without all the responsibilities and privileges of dervishhood. 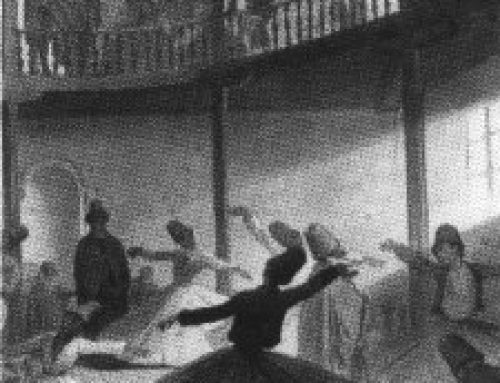 Traditional Sufi tariqahs are fairly consistent in what they reasonably expect of dervishes, that is, members of their community who have taken bayat (initiation), and these expectations are part of the spiritual education. In contrast to Sufi tradition, there are other approaches that can be found in society in general and in the contemporary spiritual marketplace. These other approaches reflect something of the self-serve consumer mentality of the culture we live in. To give an example, one may join a health club, pay monthly dues, and go to the health club to work out whenever it suits one. Take a few months off and you may get a little flabby, but you are free to do that without impacting the health club or its members. Another model is continuing education at a community college. Sign up for a course for a limited period of time and then it’s over. Finally, there is also within the spiritual marketplace the workshop format. Take a variety of workshops with various teachers, learn some spiritual practices, and add them to your own self-directed program. Suffice it to say that although these models and formats may sometimes serve a purpose, they would not be considered an optimal and full expression of the Sufi process. They reflect the fragmented nature of contemporary society as a whole where the individual reigns and community is just one option among many. Sufism, however, is a method which aims at bringing about a relationship to the Divine and a coherence of all aspects of one’s life to contribute to this aim. In The Knowing Heart I referred to the role of a shaikh as similar to the conductor of a symphony orchestra, someone responsible for bringing out the best that each person has to offer, unifying the orchestra, and also being faithful to a certain repertoire of music. Another analogy might be that a Sufi group is like the crew of a sailboat training for a high-performance event. We are in training and we are counting on each other to put ego aside and work as a team. We are not in competition with any other Sufi groups, but we are trying to realize our own potential. We also realize that when spirituality is conceived of as a totally private affair or an individual undertaking, we are in danger of a certain kind of egoism. Egoism can be understood as a state of mind that justifies and defends selfish intentions. The remedy for this egoism is humbleness, service, and love. This is why we cultivate spiritual community as one of the best circumstances for spiritual development. This is not, however, an inward turning, cultic concept of community, but a sense of community aimed ultimately at realizing communion with all of humanity and all of life. Now let us consider some of the principles behind the traditional process of Sufi initiation. 1. One becomes a Mevlevi dervish when one has chosen this as one’s primary spiritual commitment, and accepted a particular teacher and his/her representatives as one’s point of contact with the tradition. 2. Some of the benefit of this relationship comes from the flow of goodwill that comes to you from that teacher as a channel of the baraka of the tradition. We do not wish to create a mystique around this idea, but it should be considered that this flow of goodwill and grace does depend on the seeker’s sincerity. Little is possible for the spiritual seeker without a certain degree of humility, devotion, and commitment (3). Not everyone establishes the same degree of intimacy with the teacher, but as a minimum there needs to be mutual respect and trust. 3. Benefit also comes from the atmosphere that exists within the Mevlevi community. This is in proportion to the willingness of each member to cultivate trust, friendship, honesty, open communication and spiritual commitment. Such a community must do all it can to keep this atmosphere as much as possible free of resentment and gossiping. While there are inevitably interpersonal challenges, they will be overcome by intentional goodwill and a commitment to the higher purpose of the Tradition. 4. It is expected that each dervish will make participation in the group’s activities among the highest priorities of one’s life. Though the shaikh and group should not apply any pressure, the commitment should come through one’s own clarity of intention. People who want to have the social benefit of a loving community must also understand the responsibility this entails. If one too readily allows the obligations of family and livelihood to displace commitment to one’s spiritual practice and group responsibility, ultimately one’s family and livelihood may suffer as well. This is because the spiritual commitment is about deepening one’s connection to the spiritual source of life from which everything else flows. Nurturing one’s inner life will inevitably have a positive impact on one’s outer life, including relationships and even livelihood. 5. It is a general principle that with a clear and sincere intention, a dervish will be given all he or she needs within the framework of the tariqah, the group, and the teacher. This does not mean that one cannot also benefit from the barakah and wisdom of other Sufi teachers, provided you maintain the good-will and affection of your primary connection. Visiting another shaikh or group has its traditional protocols, the essence of which is that you make it clear from the beginning that you are an initiated dervish of a particular order. An initiate would ordinarily obtain the blessings of one’s shaikh or teacher for this. Because Sufism, in its classical form, is a coherent system, there can be some benefit in occasionally listening to the discourses of other teachers/shaikhs. But an initiate needs to be clear about their primary initiatic path, its teachings and spiritual practices. It has often been said that it is important not to be taking different medicines from different doctors. 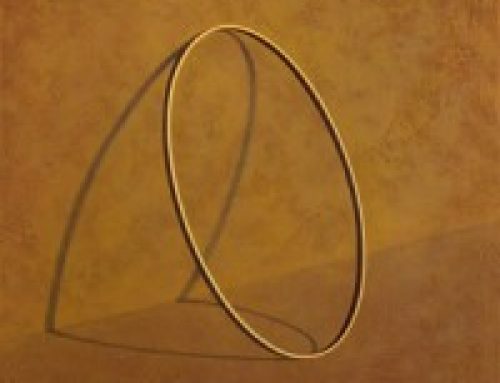 It is also important not to allow other Sufi activities to interfere or supercede one’s primary connection. Threshold Society has a tradition of inviting guest teachers to some of our events and retreats. We do this partly to demonstrate that most Sufi teaching is part of a coherent whole and to offer a fresh perspective on the teachings of Sufism as a whole. It is also a demonstration of a wider sense of community beyond the boundaries of an individual tariqah. Traditionally, however, one would not be adding practices from outside one’s own shaikh and learning circle. To be greedy for knowledge or practices is a sign of spiritual egoism. How does one know whether one is truly seeking something of benefit or is being greedy? We were taught in Turkey that Mevlevis would typically not even join with the zhikrs when visiting other tariqahs. Although we have never expressed such a requirement, it is worth noting. 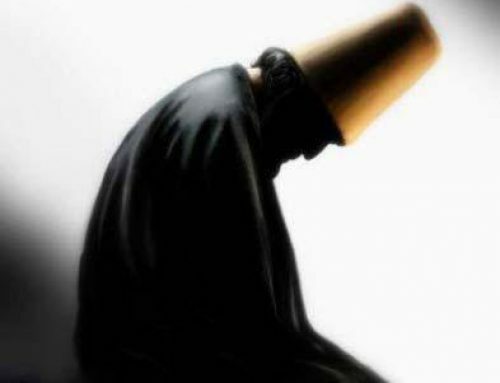 A teacher will be devoted to the dervish who is devoted. The one who seeks elsewhere for information, practices, and spiritual experiences after they have taken initiation in a tariqah, will have demonstrated that they do not understand the spiritual laws of tariqah. There may be exceptions to this rule, but communicating with one’s shaikh about this is the bottom line. 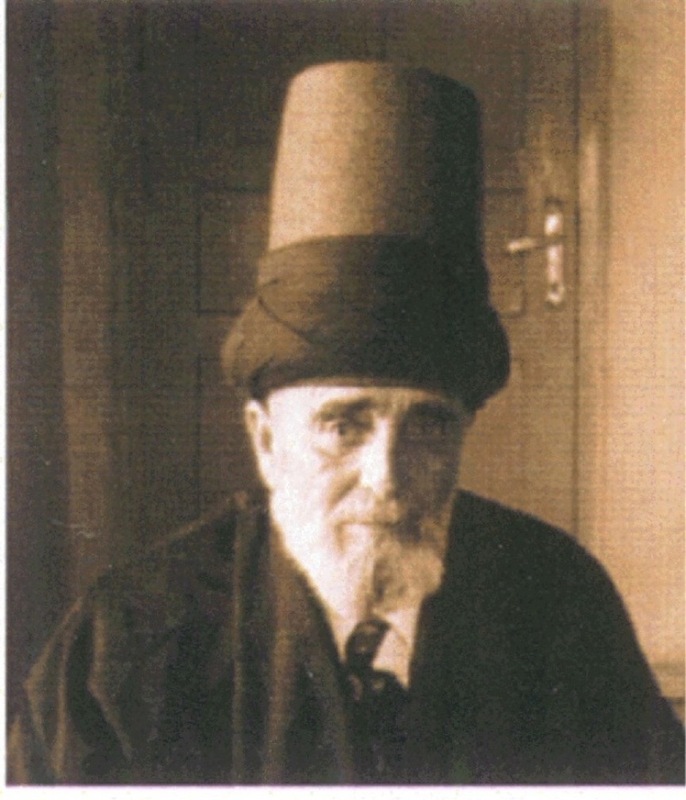 A Mevlevi shaikh once said to us: The child who has two God-fathers, is left without a hat on the Eid (holidays). The degree of your shaikh’s commitment to your spiritual development will be in proportion to your trust and reliance on him or her. 6. The relationship of dervish and shaikh should be based upon enough love to carry both through times of thick and thin, contraction and expansion, distance and intimacy. People sometimes go from one teacher to another, but move on just when they come to the point of possibly confronting the character weakness or blind spot they refuse to face. The consequences of this are obvious. Once in Turkey I was sitting with a circle of shaikhs who were discussing their relationships with their Murshids (the head of respective orders). One of the shaikhs told a personal story of an event in his own spiritual journey and concluded with To fall from the affection of your shaikh is worse than a fall from a ten-story building! While this may seem a bit sternly patriarchal, it was the sincere and contrite expression of one of the teachers we most respect. 7. Good shaikhs are created by good students. It is an interdependent relationship in which the leaders are in service to the community and the community freely gives its trust and support to its leaders. One of our teachers told us the following story. A certain shaikh went to a bank to apply for a mortgage loan. The bank refused to give him the mortgage. Members of the shaikh’s extensive community found out about this mortgage denial and began to go to the bank and withdraw their funds. The bank president, once it realized what was happening, was in a panic and called the shaikh to ask him to stop telling his followers to withdraw their funds. You don’t understand. I never told them to do this. Only you have the power to stop them. Obviously this community had a highly developed sense of interdependence, especially in relation to their leader. We mention this story not to sanction any form of herd mentality, but to offer an example of a deeply lived sense of interdependence that may shock us into examining our own attitudes. 8. Communities are built and maintained by individual souls working in harmony toward a common purpose. One of the best definitions of community is a group of people with a common vibration. This common vibration is not in conflict with one’s unique individuality, but harmonizes our individuality with a common purpose. A Sufi community functions best when people are in harmony and resonance. Sufism is based on an appreciation of wholes. Zhikr, salaat, and adab all serve to reinforce the felt experience of a sensitive unity. This is why we encourage punctuality in meetings, participation in the whole of events that are offered, and cultivating an awareness of common themes in our work. A dervish’s active participation in this is a sign of maturity and sincerity. In other words, serving the work is part of the program of one’s own spiritual journey, or sayri suluk. It is also worth mentioning that what is expected of someone new to the tradition is less than what is expected and required of someone more mature. 9. The times we live in seem to make this kind of commitment a rare and precious possibility, indeed. The tariqah does not exist to cause anyone pain or add to anyone’s burdens; its discipline and commitment is meant to be a source of joy, happiness, and well-being. 1. See: The Varieties of Relationship within The Threshold Society. 2. See: Adab and Dervishhood. 3.The nature of the relationship between mentor and student and the underlying themes within this relationship have been well described in George Steiner’s book. The Lessons the Masters : 1. The teacher’s power to exploit his student’s dependence and vulnerability; 2. the complimentary threat of subversion and betrayal of the mentor by his pupil; 3. and the reciprocal exchange of trust and love, of learning and instruction between master and disciple.